Leadership and communication skill is a ‘must have’ skill and quality for any candidates. In almost every job it is required to be able to communicate effectively. Developing your communication skills can help all aspects of life, from your professional life to social gathering and everything in between. Keeping this in mind, Institution Business Admission of Dhaka University has started a six week’s course. The ‘Leadership Certificate in Managerial Communication’ course will start from 26 August, 2016. Candidates can apply for admission till 20th August, 2016. Candidates need to be graduated in any subject as well as need to have 3 years of working experience in any organization to be able to apply for the LCMC Course. In some special cases, experience will be rebated. LCMC course will cost total of 26,500tk. Candidates have to pay all of 26,500tk before starting course via pay order or bank draft. 12 classes will be taken in this six week’s course. All classes will be held on Friday and Saturday. The duration of each class will be 3 hours. The classes will be taken by internationally famous teachers of American University and the regular teachers of IBA. 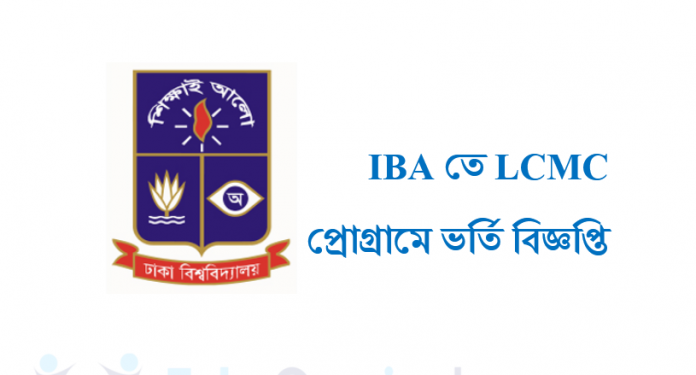 To apply for LCMC, visit www.iba-du.edu and complete application form. After filling the film, candidates will have to submit it in the Management Development Office which is located in the 2nd floor. The last date of the application is 26 August. Room no. 402, 2nd floor, IBA.